Mednick, Mezyk & Kredo, P.C. 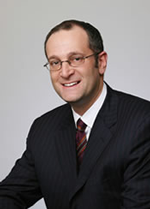 Brian J. Kredo, Esquire, has been litigating personal injury and workers’ compensation cases in Philadelphia and the surrounding counties for the past twenty-two years. He received his bachelor’s degree from the Pennsylvania State University in 1990 and his law degree from Widener University School of Law in 1993. Mr. Kredo’s skilled advocacy, dedication and hard work have resulted in several jury verdicts in excess of one million dollars. His verdicts have been publicized in The Legal Intelligencer and The Pennsylvania Law Weekly. In addition to his busy litigation practice, Mr. Kredo has also been selected to serve as the sole arbitrator over numerous civil litigation matters. He also served as a lecturer on workers’ compensation law at Villanova University.